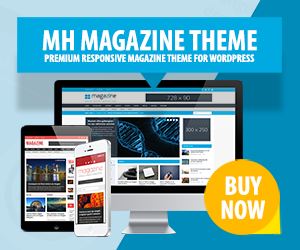 This responsive magazine WordPress theme will present your online magazine or news website beautifully on all kind of different devices such as smartphones, desktops or tablet computers. The responsive layout of this magazine theme is of course fully optional and can be disabled very easily. Furthermore, the Sahifa WordPress Theme is characterized by being ready for retina displays. This aspect guarantees that your content and images will look also fantastic on high-definition retina screens. Since the internet brings people from all over the world together, being multilingual is an essential factor of success. This responsive magazine WordPress theme offers you the opportunity to translate your content into several languages and run a multilingual online magazine, news website or blog.